(New York, NY): Bond, Schoeneck & King is pleased to announce that Gregory B. Reilly, Aisling M. McAllister and Samuel G. Dobre have joined the firm, giving Bond 21 labor and employment attorneys in New York City. 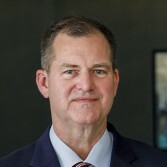 Both Reilly and McAllister are prominent, management side labor and employment lawyers, both former partners of Martin Clearwater & Bell, where Reilly led the Labor and Employment practice which also included Dobre as an associate at that firm. Prior to working at Martin Clearwater & Bell, Reilly was also a partner at Littler Mendelson. Reilly joins Bond as an experienced trial lawyer, employment law counsel and traditional labor lawyer representing employers in several industries including health care, hospitality, retail and staffing. 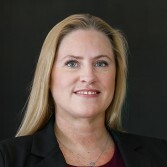 Reilly has experience in all aspects of employment and labor law, including class actions, representing management in federal and state courts as well as before administrative agencies such as the Equal Employment Opportunity Commission, the New York State and City Human Rights Commissions and the State and Federal Department of Labor. Reilly received his B.S. in Industrial Relations from Cornell University (1985) and his J.D from Harvard Law School (1988). He is the author of numerous articles published by the American and New York Bar Associations as well as the New York Law Journal. McAllister is also a seasoned labor and employment attorney. She represents employers exclusively on topics from discrimination and harassment to violations of state and federal wage and hour laws across multiple industries such as health care, hospitality, staffing, accounting, municipalities, non-profits and retail. She has successfully represented clients before the Equal Employment Opportunity Commission, as well as New York State and New York City anti-discrimination agencies. McAllister received her B.A. with honors from Rutgers College (1999) and her J.D. from the University of Miami School of Law (2008). Dobre, mentored by Reilly and McAllister, also represents employers in labor and employment litigation, and has successfully defended claims of employment discrimination, wrongful discharge and employment-related torts. Sam completed several legal internships, including internships at Brookdale University Hospital and CAMBA Legal Services and served as a judicial intern for the Hon. Arthur M. Schack, Kings County Supreme Court. 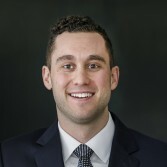 Sam is a graduate of Binghamton University, State University of New York (2014) and received his J.D. from the Benjamin N. Cardozo School of Law (2017). Bond, Schoeneck & King PLLC is a law firm with 250 lawyers serving individuals, companies and public sector entities in a broad range of practice areas and over 80 lawyers in its Labor, Employment, Employee Benefits and Immigration Group. Bond has eight offices in New York State and offices in Naples, Florida and Kansas City.